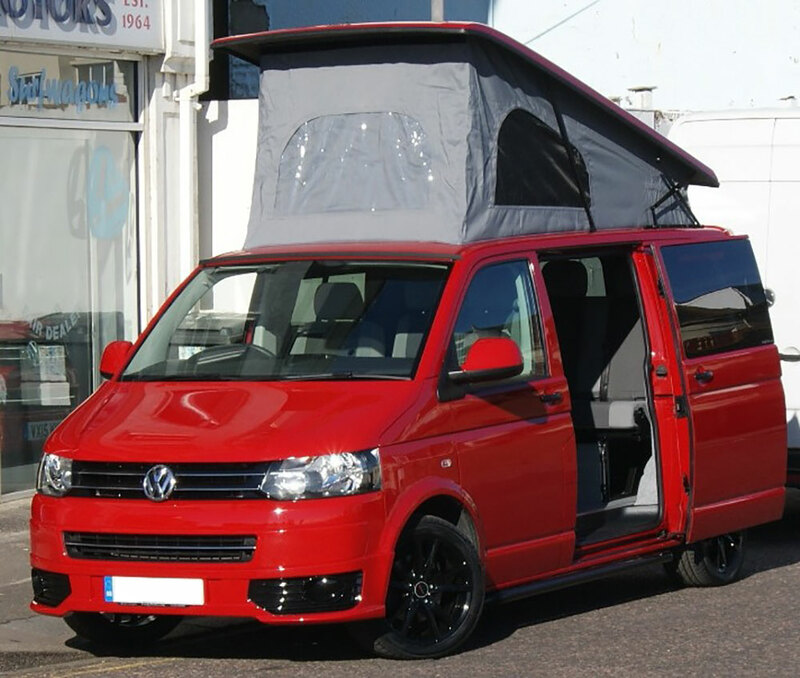 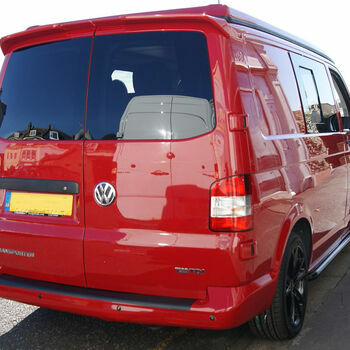 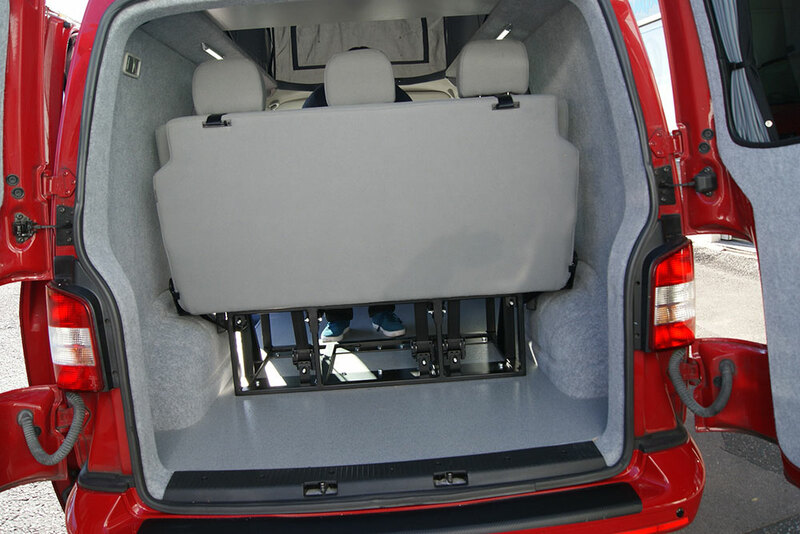 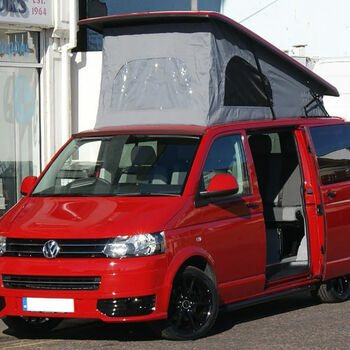 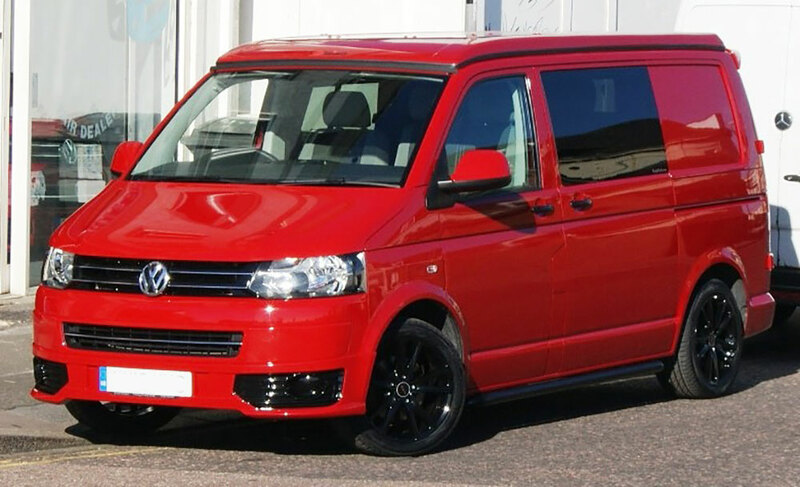 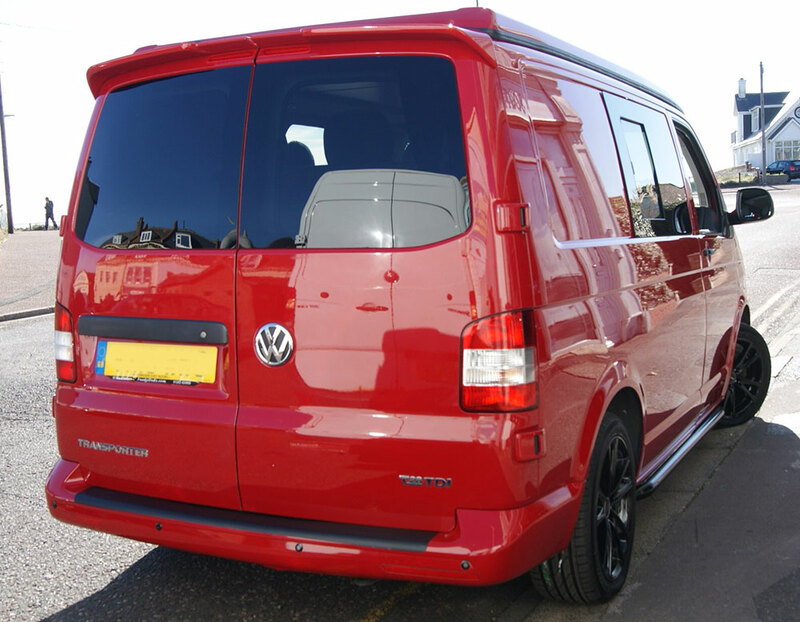 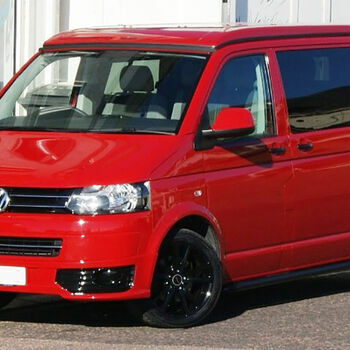 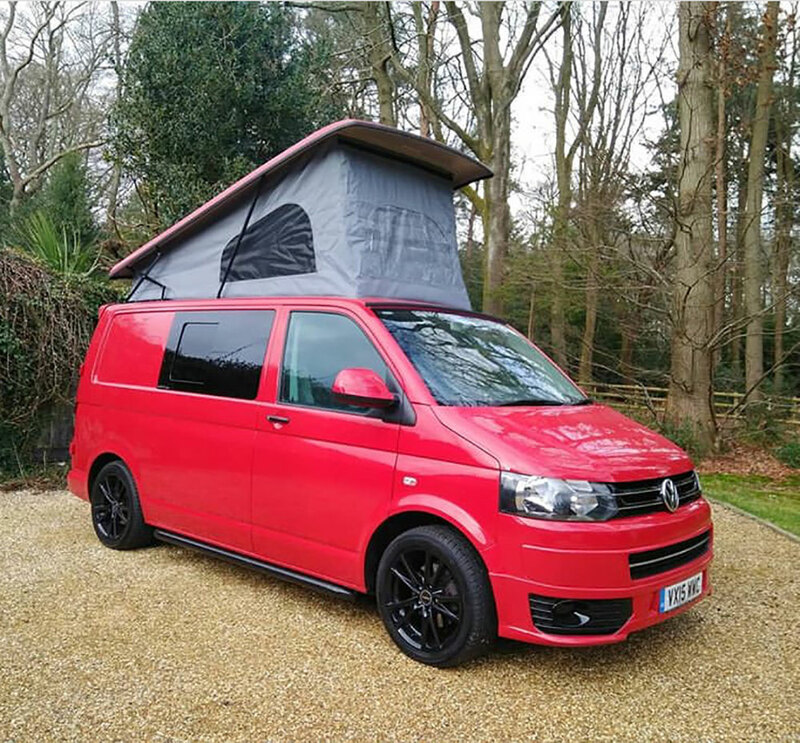 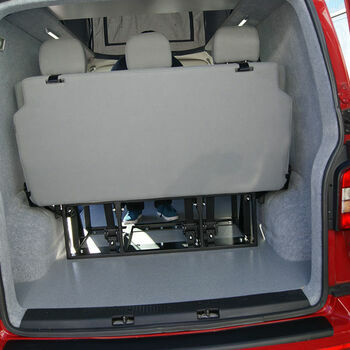 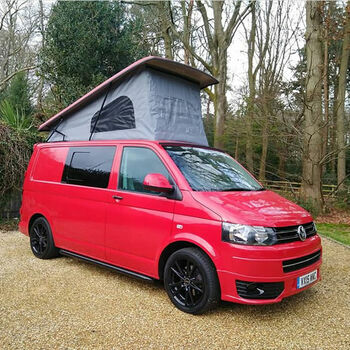 Rosie is a 2015 VW T5 campervan conversion with a pop top roof in a fire engine red. 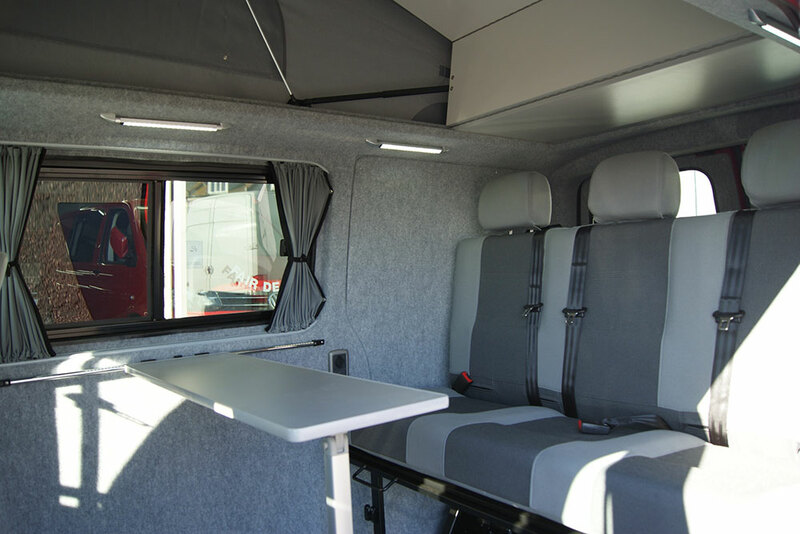 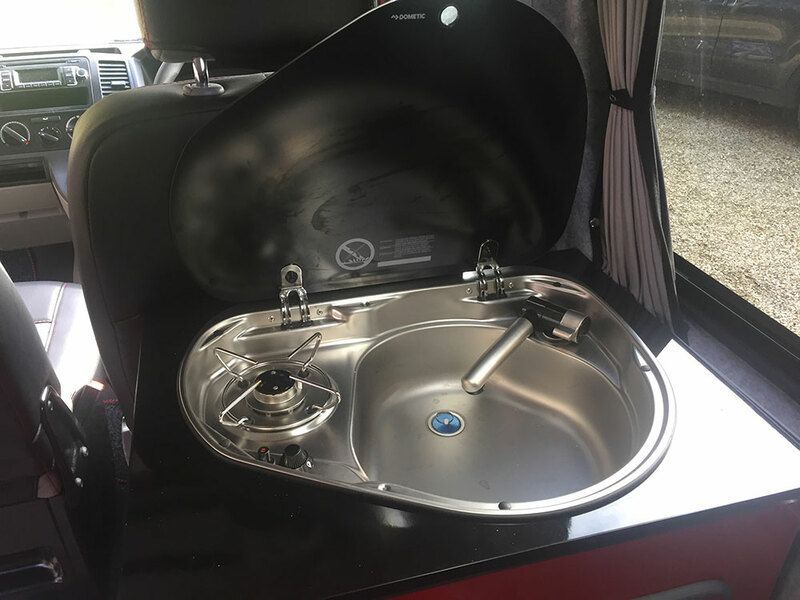 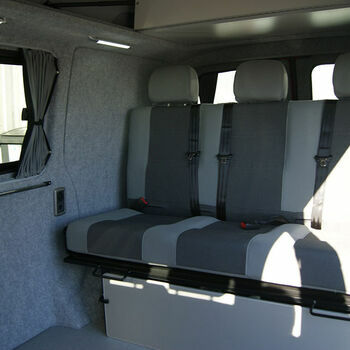 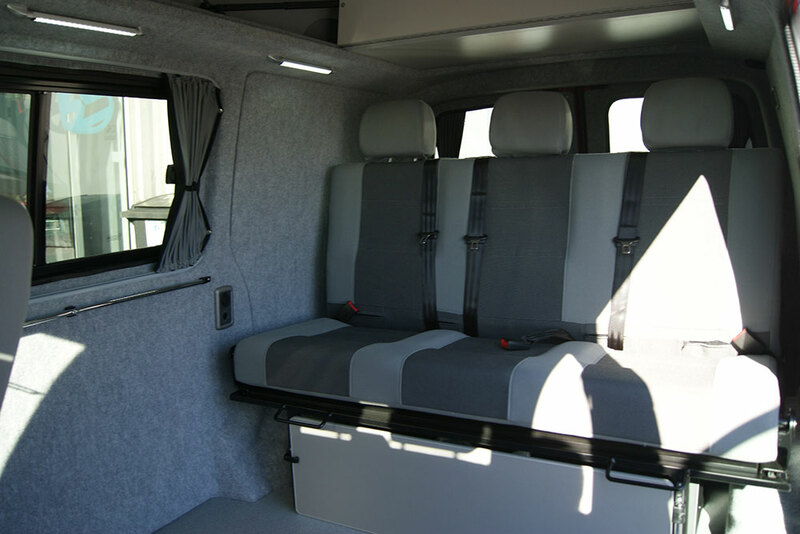 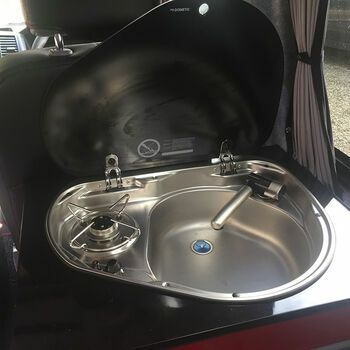 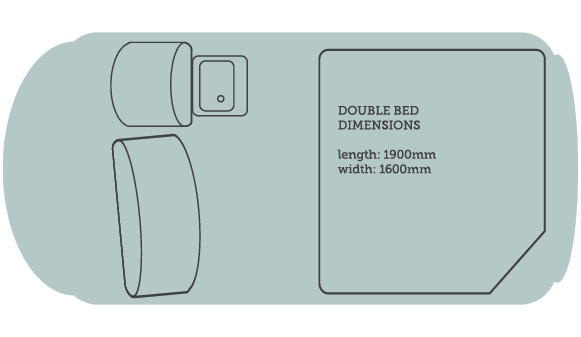 Enjoy the comfort of a modern campervan which has been fitted out with all the mod cons you will need for your camping experience including a full width lower bed, stainless steel sink and cupboard space plus table. 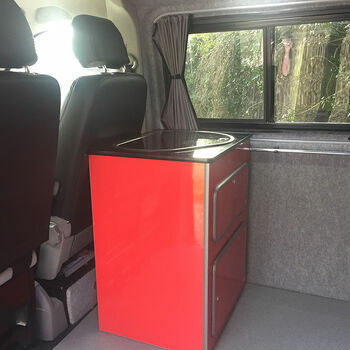 A gas camping stove and electric coolbox to keep refrigerated are included. 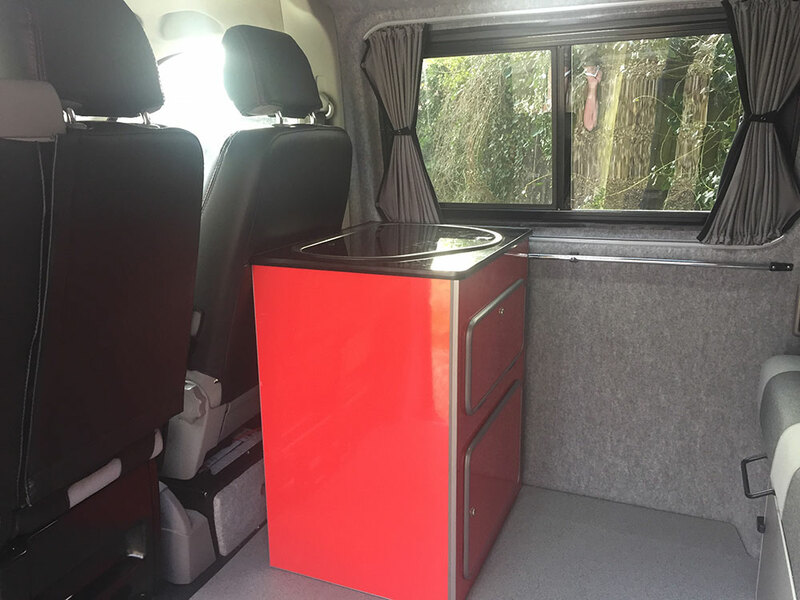 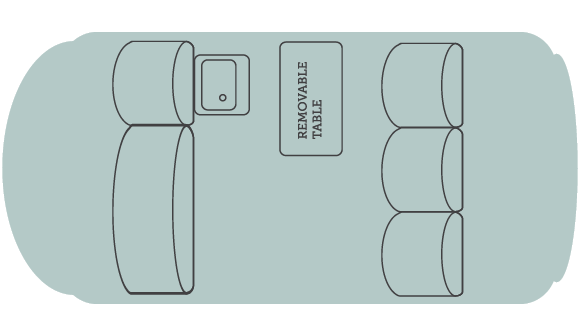 Rosie also comes fully equipped with crockery/cutlery/pans and everything else you will need to a fun filled campervans experience. 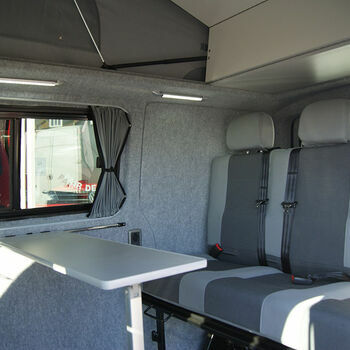 Rosie can travel all over the UK, Ireland & Europe. 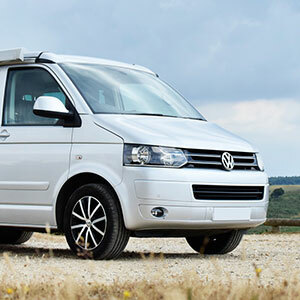 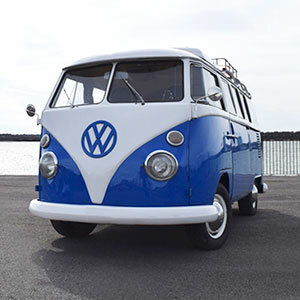 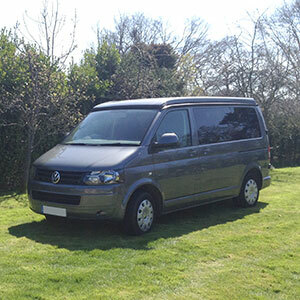 Use our Campervan Finder to pick the campervan based on where you need to go.